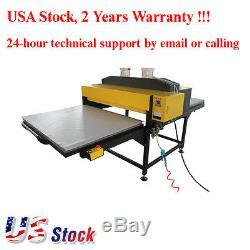 39" x 47" Pneumatic Double-Working Table Large Format Heat Press Machine with Pull-out Style. Any questions Please sent a message in advance! 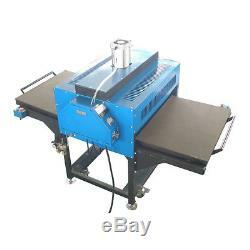 Description: This Pneumatic Large Format Heat press machine is featured by its large working table and air automatic working system. 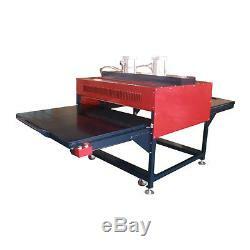 It is very efficient for transferring work in advertising industry and printing industry. 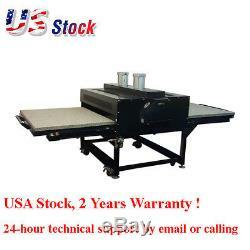 The working table can be pulled and pushed easily. 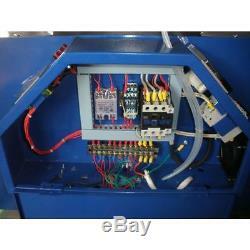 This machine has a reasonable and durable machinery structure for steadily using. 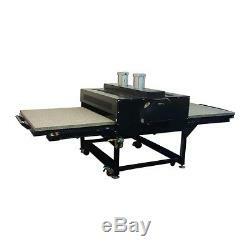 Features: 39" x 47" Heat Press Machine. Pneumatic type with double working tables. Large Size that s used for big size transferring work. Evenly heating board for better transferring effect. 220V / 380V (Three Phase). 39" x 47" (1000 x 1200mm). 63.8" x 61.0" x 49.6 (162 x 155 x 126cm) (wooden case). Master Switch-Cut off the electricity automatically when the electric is short circuit. 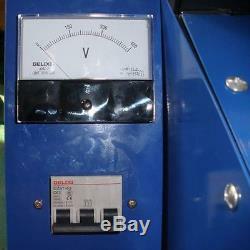 Voltmeter Voltage displayed at real time. Display Controller-Digital display controller for easy operating. 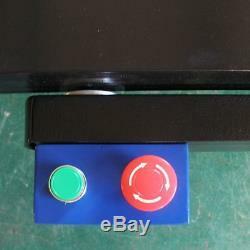 Emergency Push Button-Ensure the safety of the operator and better transferring effect. 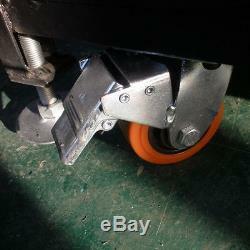 Universal Pulleys-It s very convenient and easy to move and brake the machine if neccessary. Rail-like Track-Pull and push the working table easily and freely. Barometer-The air pressure is adjustable according to different. Heat Platen Test: Each Single Copper sheathed heating rod is tested before it is cast in an aluminum alloy or Mica Sheet. These heating rods are comparable to those found in industrial ovens that heat up quickly, work efficiently and last many years. Finished Machine Test: 1 Turn on the machine, let it heating up to 200 degree Celsius. 2 Keep the temperature stay at 200 degree Celsius for at least half an hour. Certainly, you can choose the color we have made but need time to finish if it s not in stock. Also, you can customize the color you like but need extra cost and large order. This machine is widely used for T-shirts, fabric bags, pants and others which are made of textile, knitting, non-woven, chemical fibre or cotton materials, and metal sheet, adorment, etc. 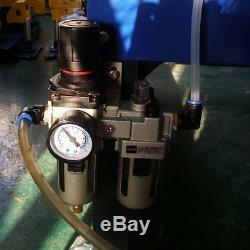 Aftersale Service: We provide support service for all of our customers to help their heat thansfer business goes well. User-friendly English manual for machine using and maintaining. About Spare Parts: If the parts were broken during the guarantee period, we will provide a new part for free. We will send clients new parts once after they return the broken one. Hope You Have a Nice Day!!! The machine will take 4-8 weeks as normal. If you are sensitive for the time, please send us a massage inadvance, 2. 39 x 47 Pneumatic Two Work Pull-out Table Large Format Heat Press Machine" is in sale since Wednesday, April 26, 2017. This item is in the category "Business & Industrial\Printing & Graphic Arts\Screen & Specialty Printing\Heat Transfer\Presses". The seller is "laserfactory2016" and is located in California. This item can be shipped to United States, Canada, Mexico.